After ending my post on sinigang on how I would only featuring it again if only I made it from real tamarind, I wondered, why don’t I? We were in the supermarket, buying for ingredients for a new experiment, the binagoongan, when I wondered if fresh tamarinds for cooking are available. And it was! We bought around 200gms only and my mom said that was more than enough (ended up using less than half) for around 3/4 kilo of pork. 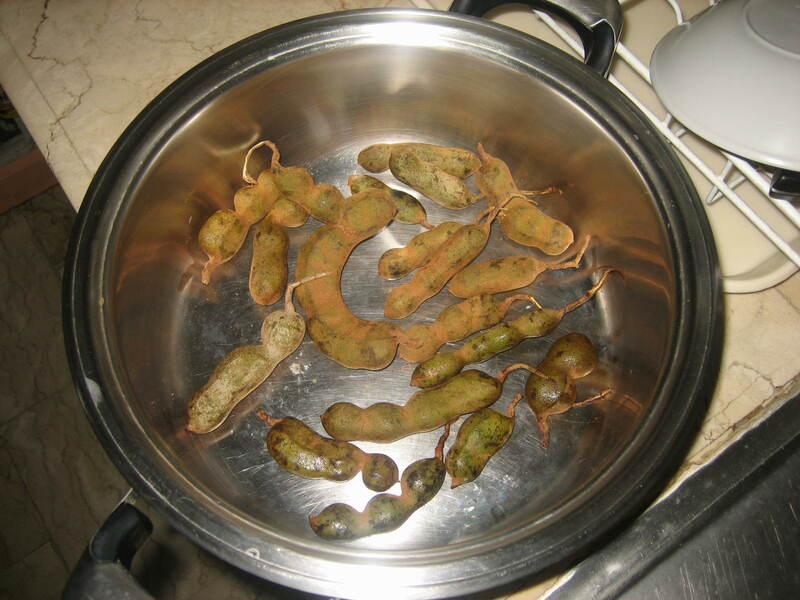 With mom’s instruction and guidance from this article, I immediately boiled the tamarind on its own with around 3 cups of water. It was boiled until the shells of the tamarind split open then the soup was set aside, the pulp mashed to bring out more of the sour taste. 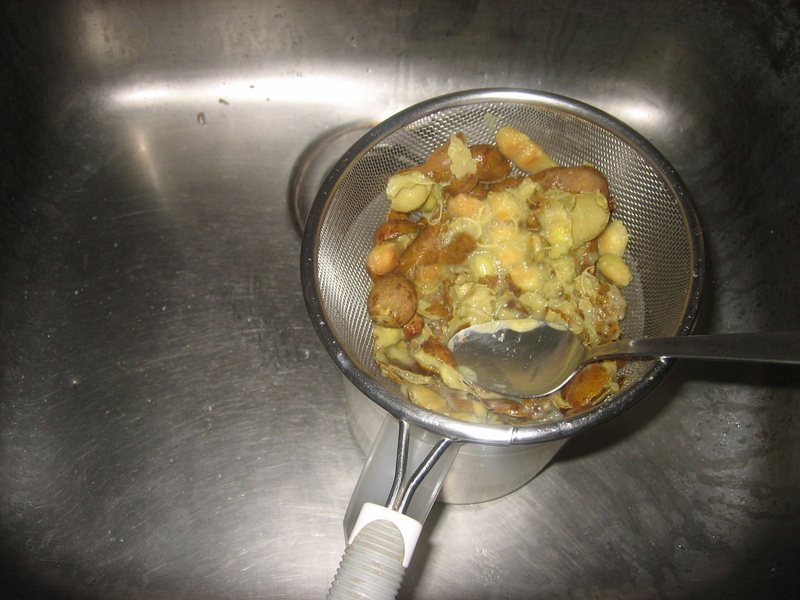 I strained more of the pulp by adding more of the soup, then the peel, seeds and strings were thrown away. Boil tamarind in some water until all the shells break. Strain the fruit and and mash. Pour some of the soup into the mashed pulp and strain again. Set aside. 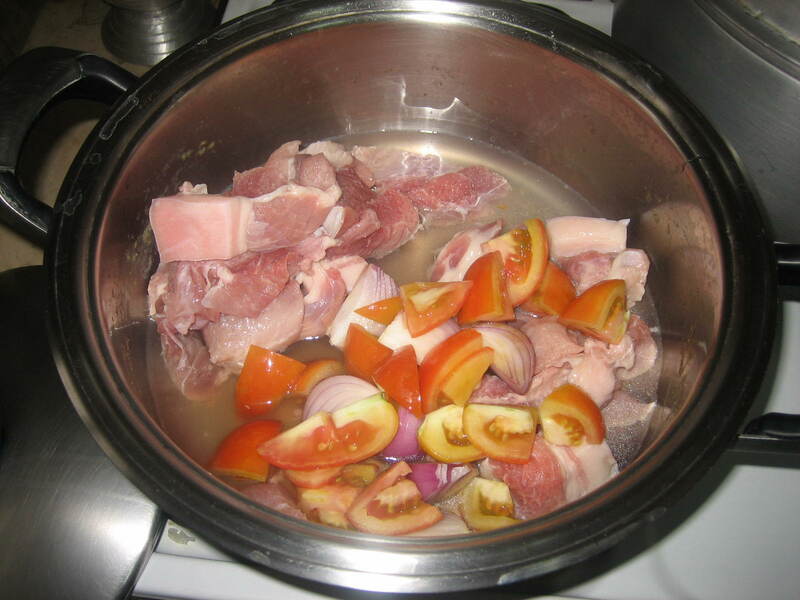 Boil the meat with the tomatoes, onions and some fish sauce. You may also use salt. Add just enough water so that the meat wouldn’t dry out. Add the tamarind broth once the meat is tender. 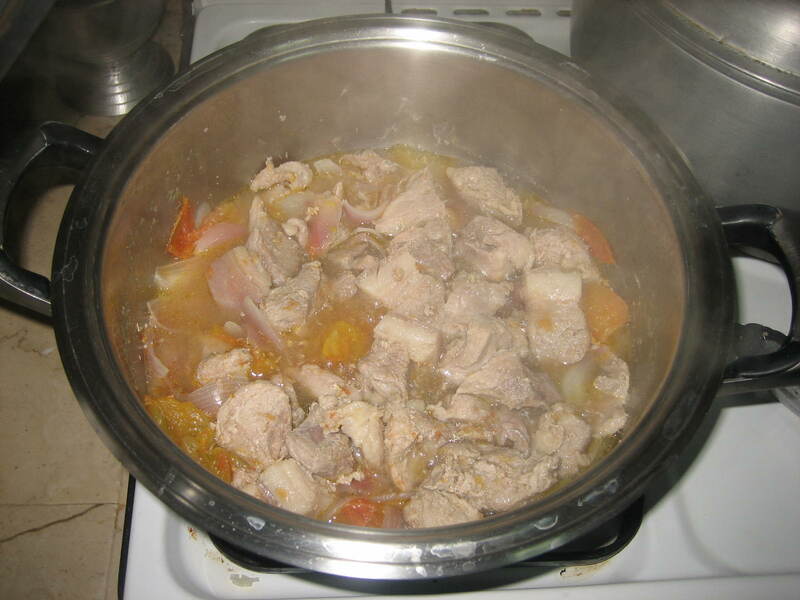 Adjust salt or tamarind broth. 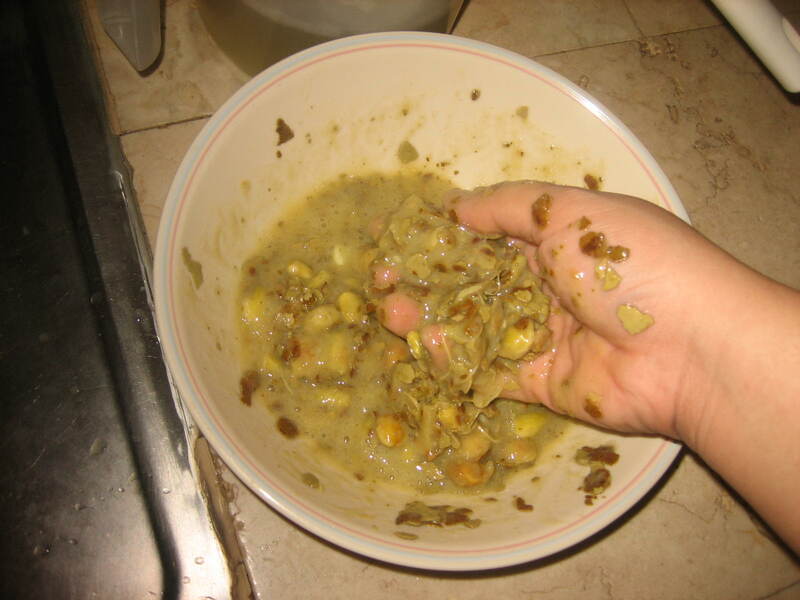 You can also add some long green chili peppers. You can add tons of vegetables like kangkong, long green beans, horseradish, etc.